REMOTE CONTROL: Away mode, , you can also turn on or turn off connected device at any time through the eFamilyCloud app connected to any internet when you didn't at home, works with AC 110V-240V, 10A maximum load. QUALITY GUARANTEED: The Mini Smart Plug features a sleek new design that is CE and BS approved product. If you encounter any problem or need support, please feel free to contact us or Amazon directly. We offer 12 month of warranty and replacement services and lifetime technical support services if the plug is defective, please contact us whenever you encounter product issue. Fab just brought 2 sets. Thanks for the find. Just purchased. Great find! 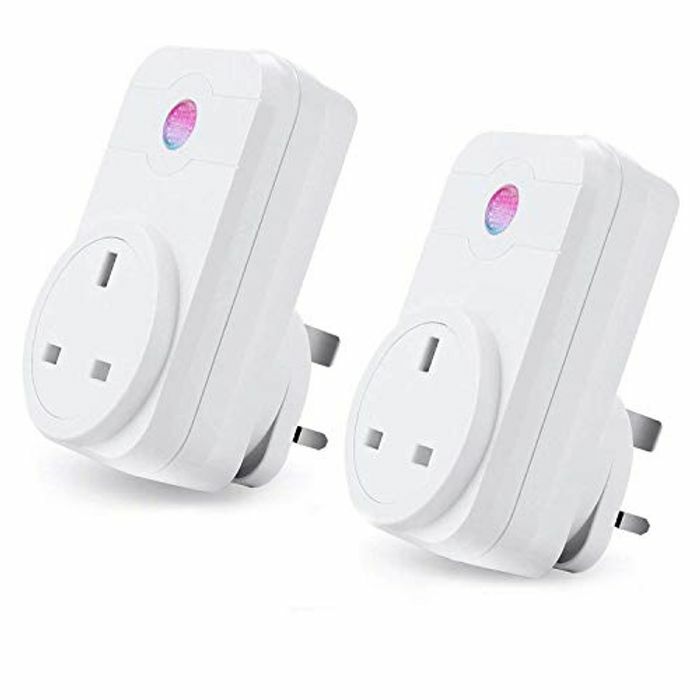 I have these type of plugs all over the house linked in with Alexa turning on and off all sorts of things. I'm quite intrigued by these devices, but I just can't think of any useful purpose that I could use these for - other than maybe a table lamp & possibly christmas tree lights. They mention Bread & coffee machines, microwaves, Tv's in the ad, but most of these appliances require further button presses after the mains has just been switched on. Other than impressing the dog that your voice is God, what do people actually use these for? We use ours for turning on the kettle in the morning from upstairs (kettle turned on but smart plug off) and my partner starts early so uses one for turning on a downstairs light, plus you can set up a Alexa schedule to turn on security lights if you go away. Cheynne Our kettle needs another button push to activate it as well, and we've got one of those switch things that puts on the lights. Going to get these thanks! Ordered these and arrived yesterday.. absolutely love them! Tried to purchase more but code not valid.. is it a one time use per customer? Yes, I think its normally once per account. Can they be connected to an extension cable?